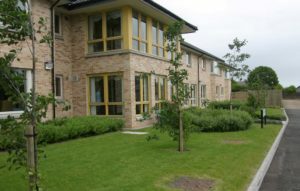 Hanover’s Morris Court in Dalry has retained its scoring of ‘five’ in every area after its recent inspection by the Care Inspectorate. The inspection took place in January and inspectors spoke to residents, relatives and staff at the Housing with Care development. The report from the watchdog highlighted that the overall quality of care and support was very good, and that residents felt that all staff had a good understanding of their care needs. Residents added that care staff always respected their choices and took the time to get to know their routines. The report also highlighted that the quality of Leadership and Management was very good and there was a supportive and open door approach to staff, residents and families. “I know my family member is well looked after and that I am kept informed of any changes of wellbeing”. The five rating (‘very good’) was retained for quality of care and support, quality of management and leadership.